We are world leaders in eye care. 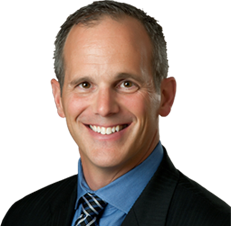 Dr. Morris, owner of our practice, is known nationwide as an expert on dry eye treatment and optometric technology. He speaks at medical conventions all over the country, sharing his expertise and teaching others. Our approach to eye care combines considerable experience with advanced technology, providing the best care possible today. At Eye Consultants of Colorado, your wellness is focused on preserving, enhancing, and perfecting your vision. care and customer service to our patients. *Limited hours on Mondays and Thursdays from 9:00am – 12:00pm for medical visits only. No optical services available during these times. We are located in the Healthcare Center at Conifer, on the corner of Kitty Dr and County Highway 73, across from the Staples. There is ample parking on-site. Being new to the area, I was looking for an eye doctor to cover the full array of check-up, contacts and glasses. The team welcomed me and had me in and out promptly. Very friendly, knowledgeable and caring as it related to what was best for me and my needs. Very customer service friendly. I would highly recommend! Extremely professional practice with top doctors. Dr. Morris is very knowledgeable in all aspects of eye care. I've been lucky in the last few years to get a couple of health care professionals that make me feel like they take time and actually care about my well being. The office, and everyone there did just that, and I could kick myself for not having visited before- thanks to all of you! Fast and caring service for a semi emergency from my perspective (torn cornea). I hope I don't need his services again, but do admit he was the most caring & knowledgeable optometrists/ophthalmologists I have ever dealt with. We love working with kids and educating them about their eyes. Children should have their eyes examined first before the age of six months, again at three years, and again before they enter the first grade. After that, Annual exams are recommended unless otherwise specified by an Optometrist. Our selection of contact lenses and eyewear is one of of the largest in the Denver Metro area, with over 27 different brands of eyewear and sunglasses in-stock. See our eyewear brands.